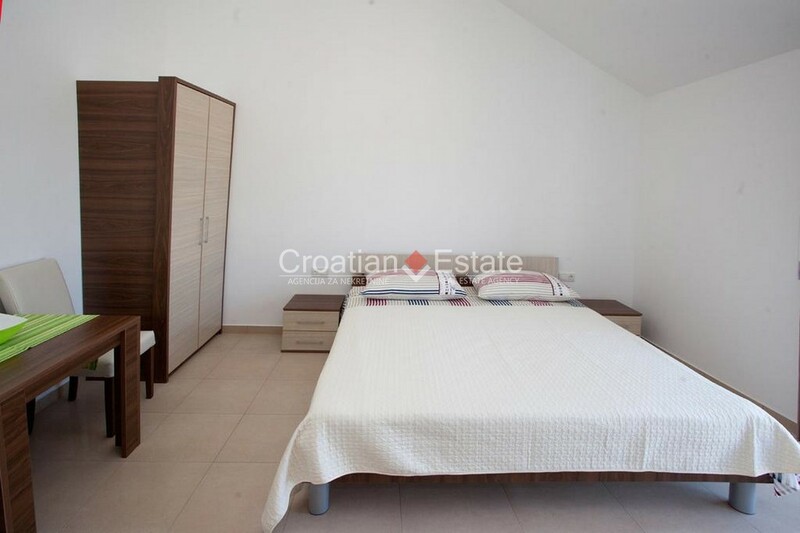 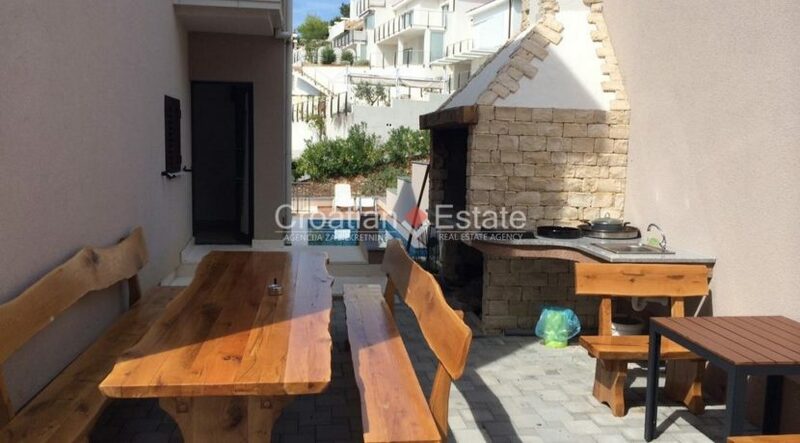 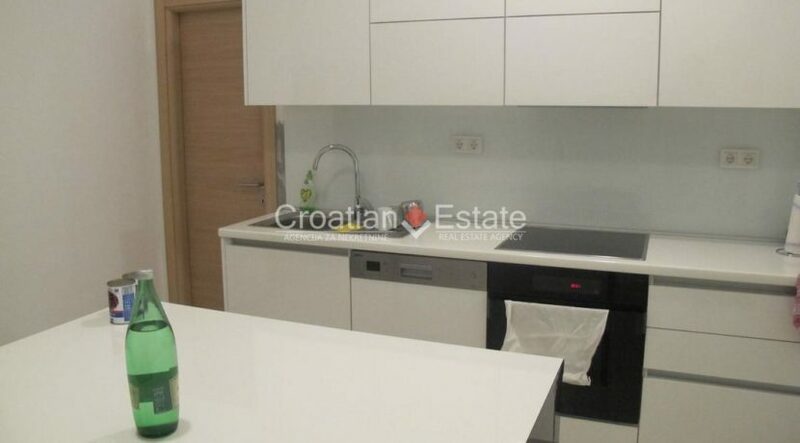 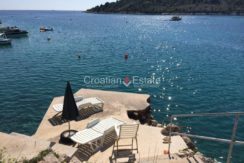 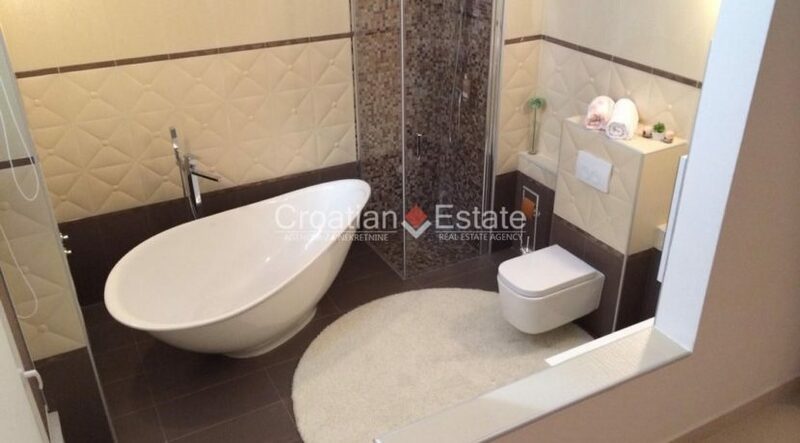 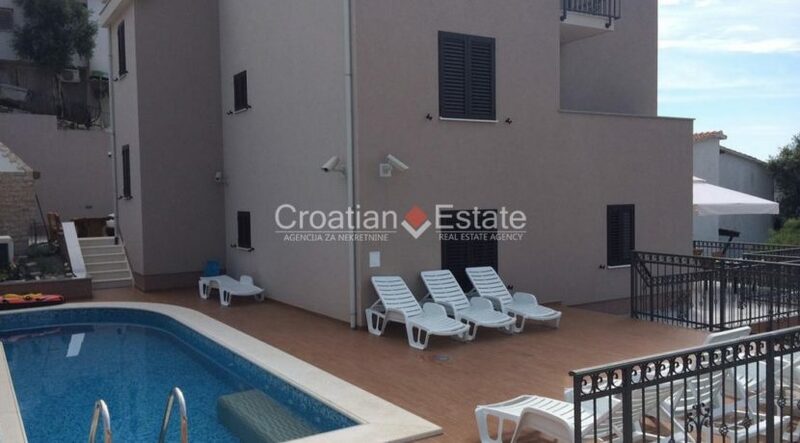 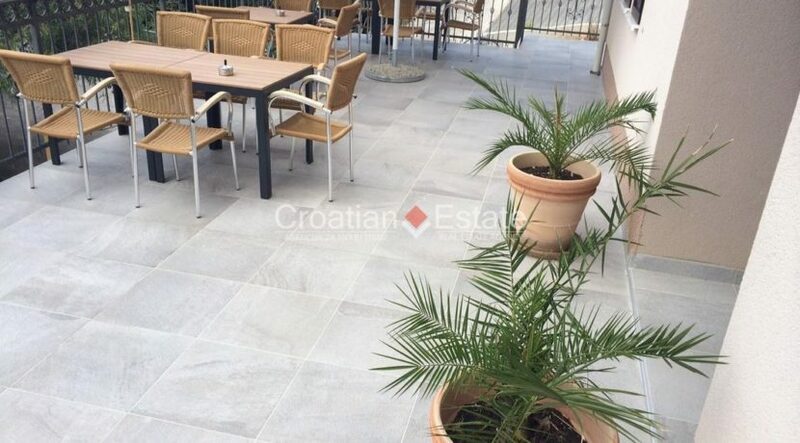 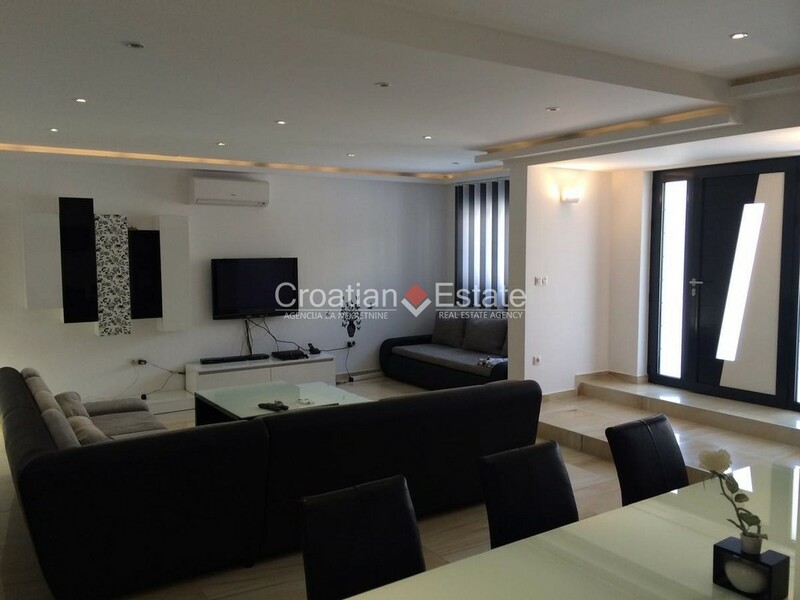 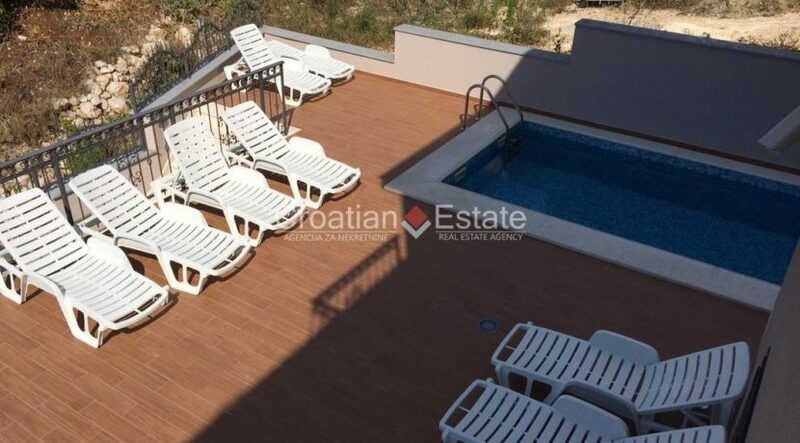 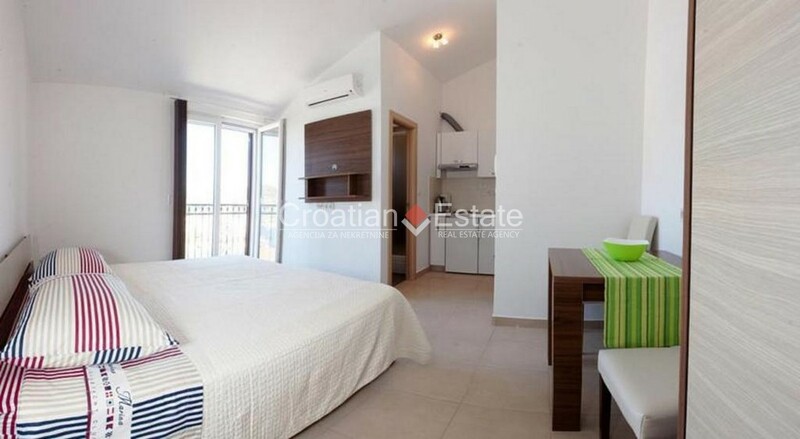 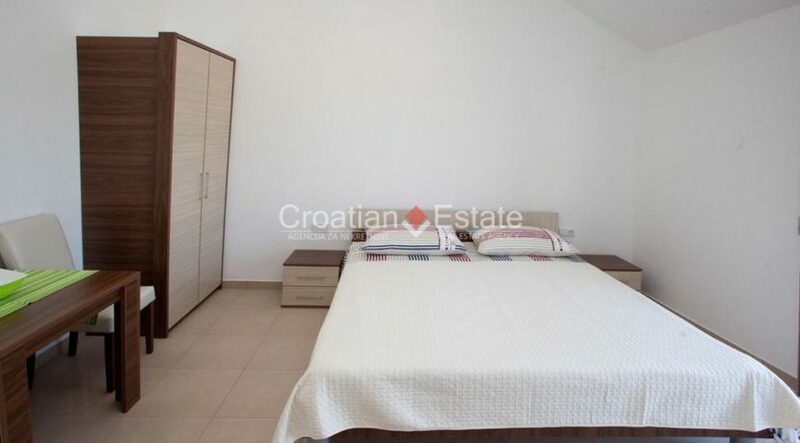 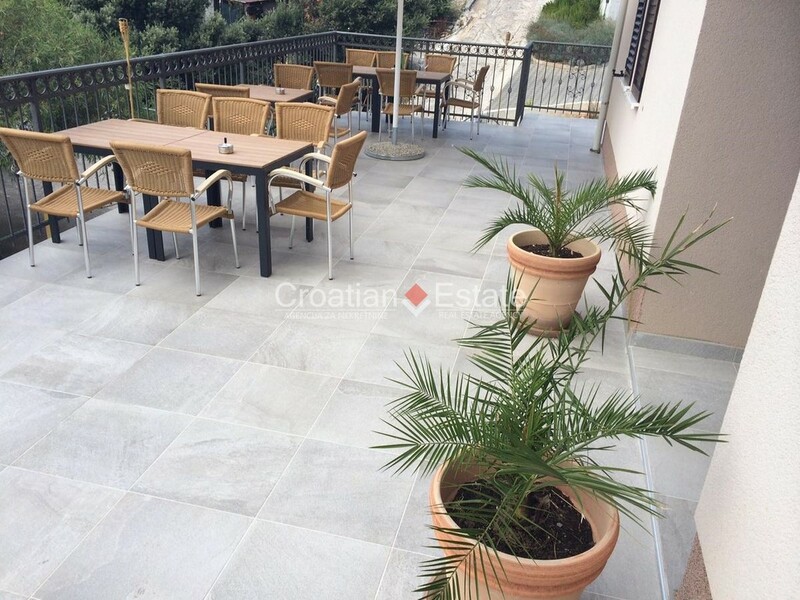 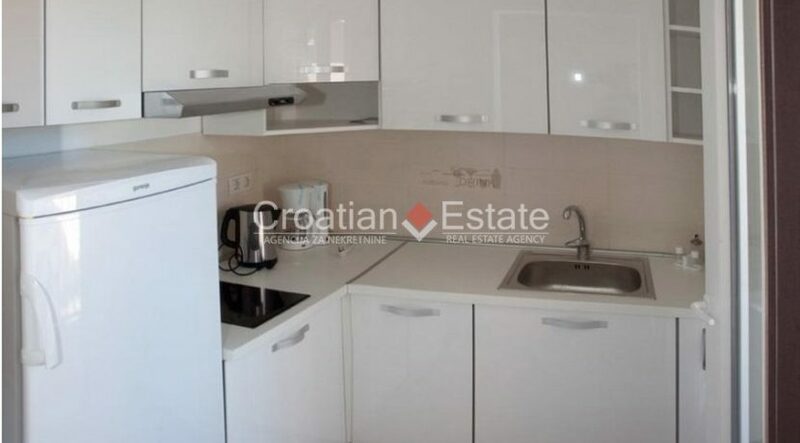 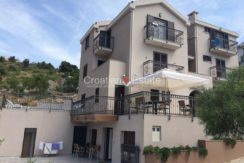 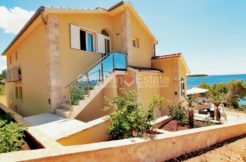 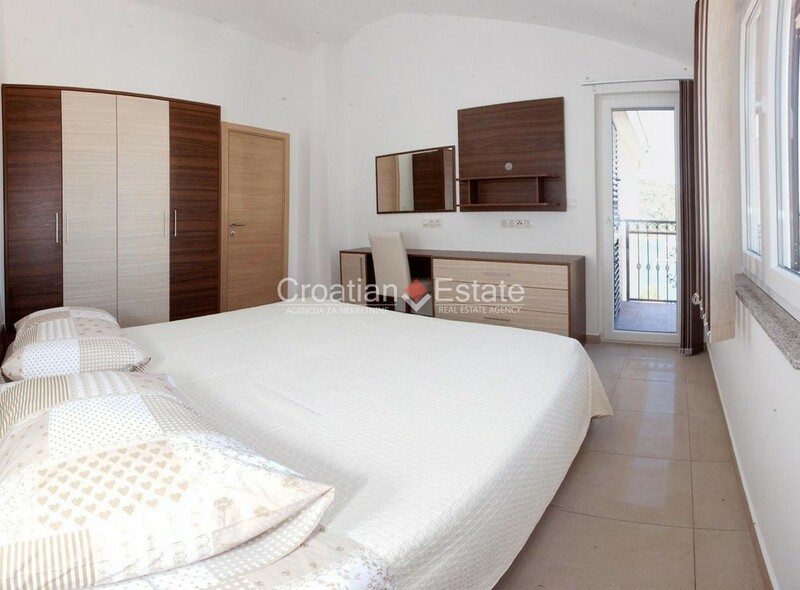 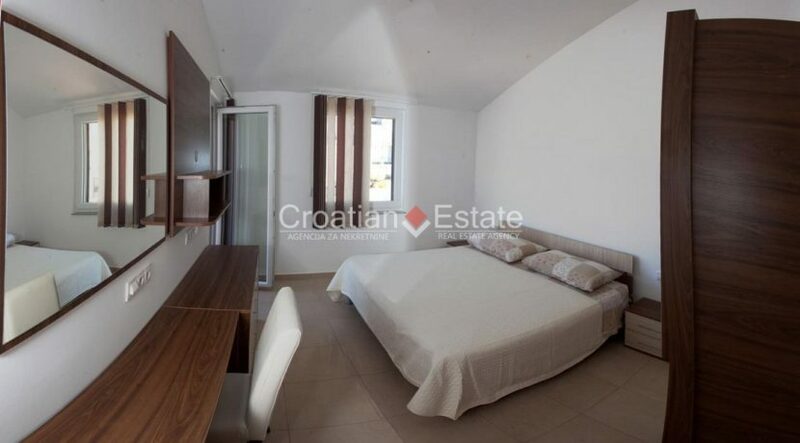 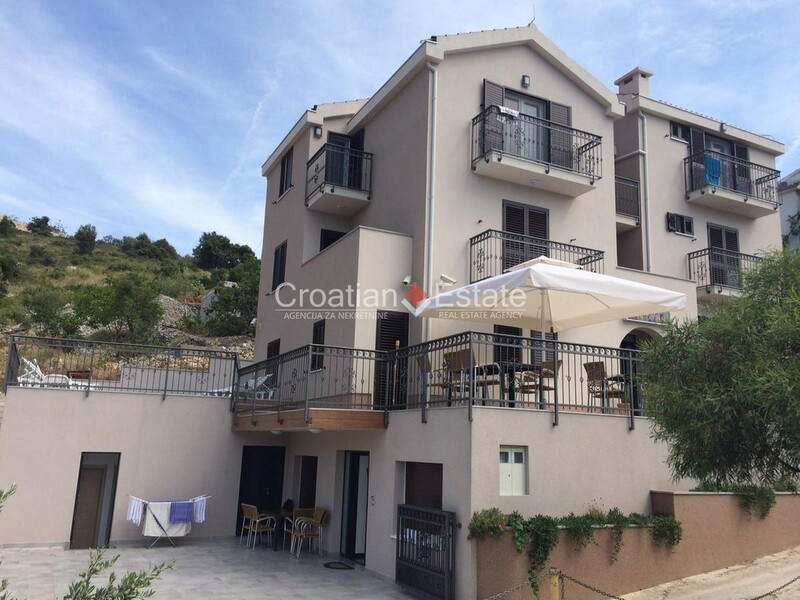 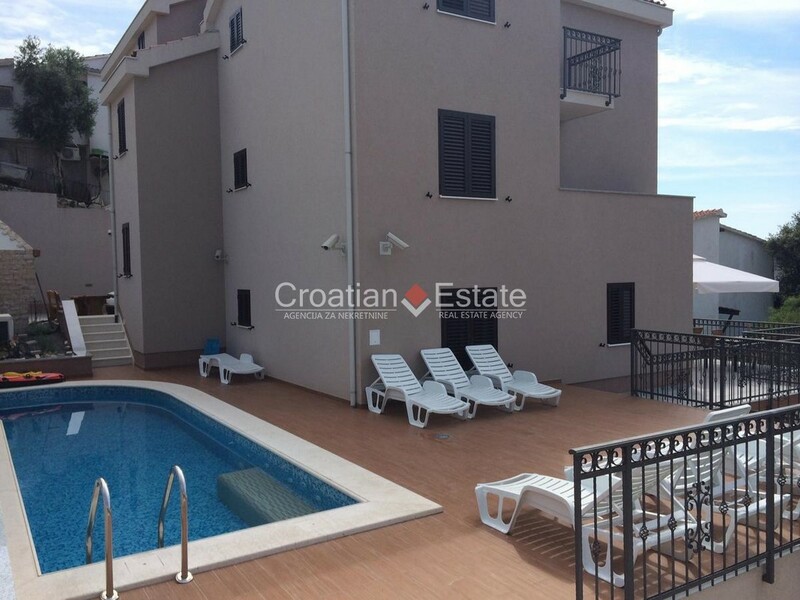 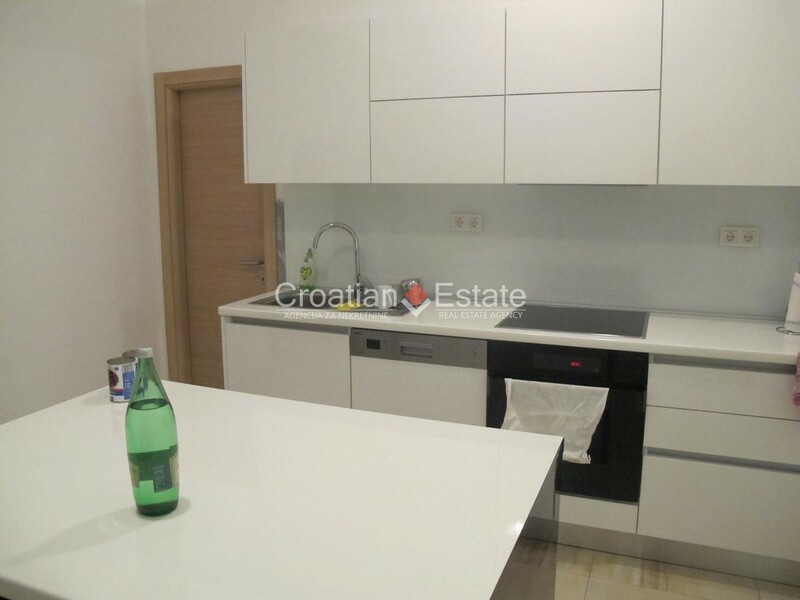 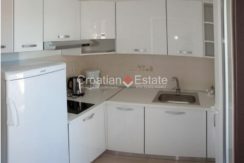 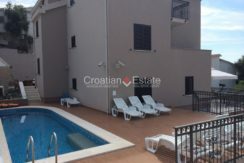 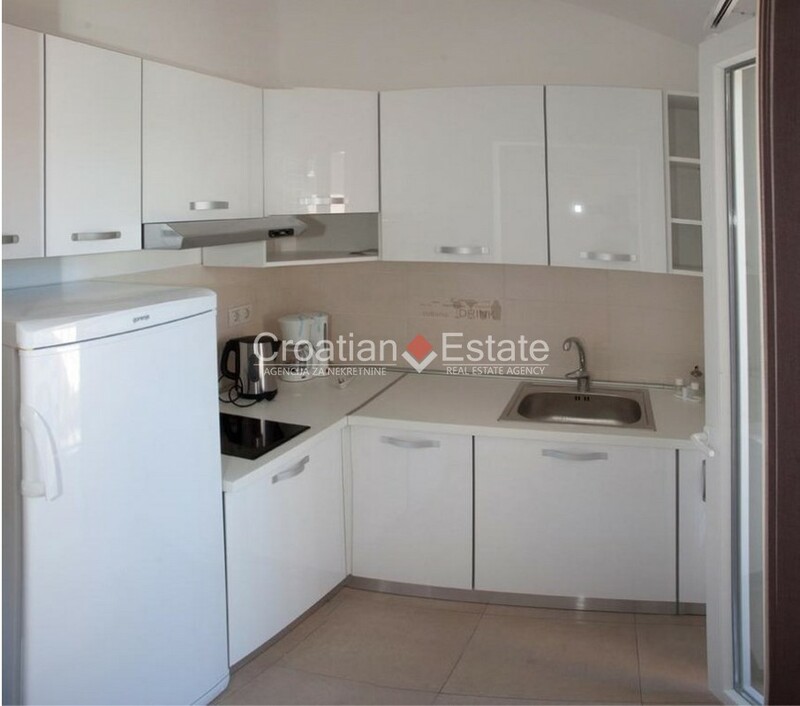 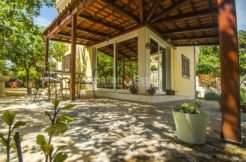 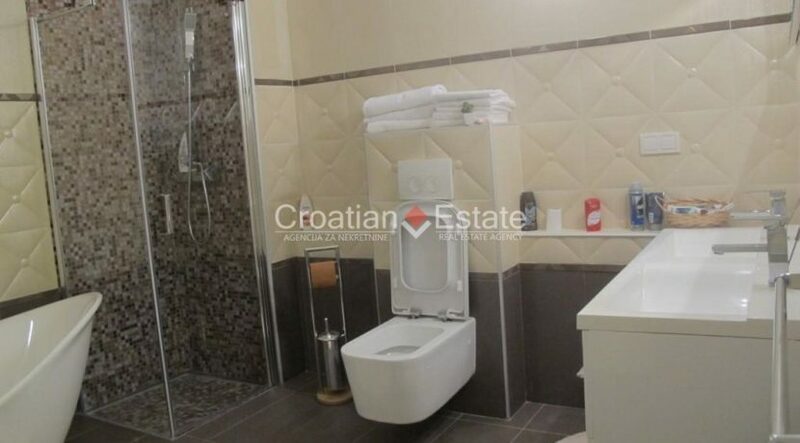 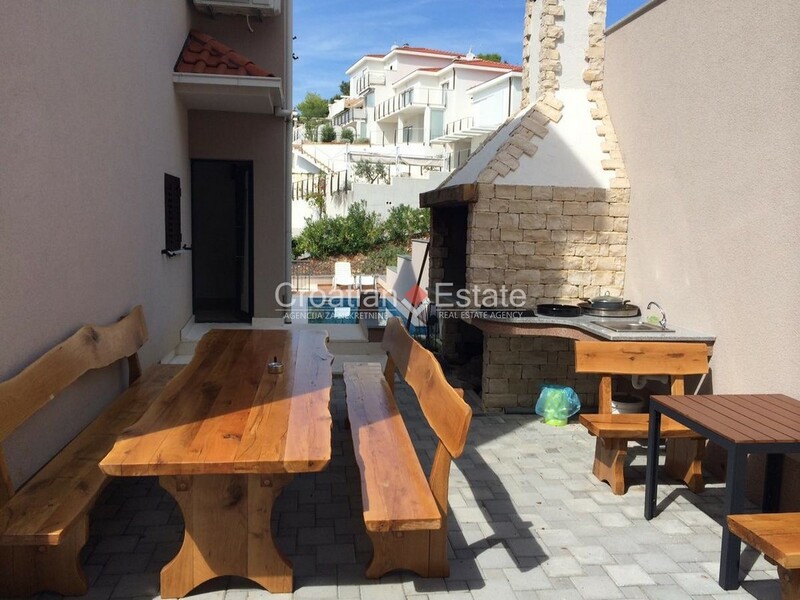 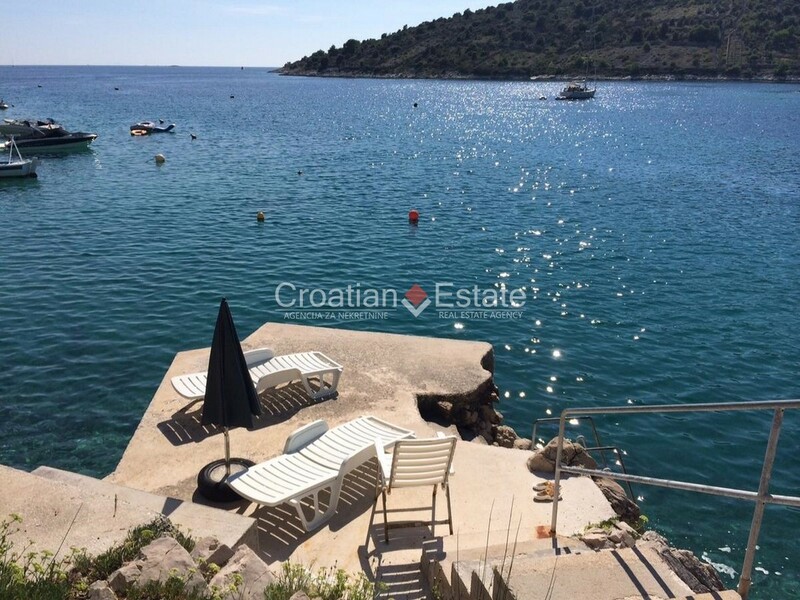 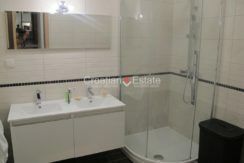 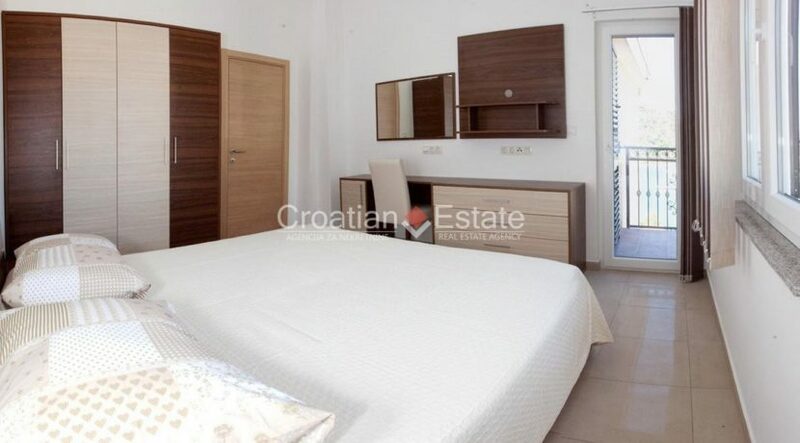 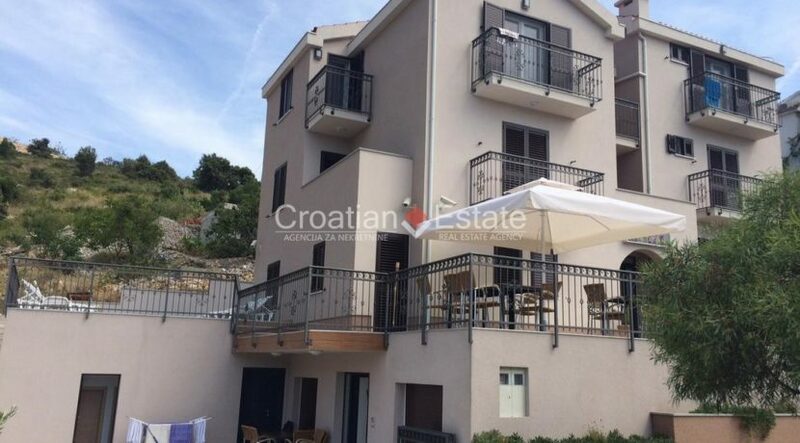 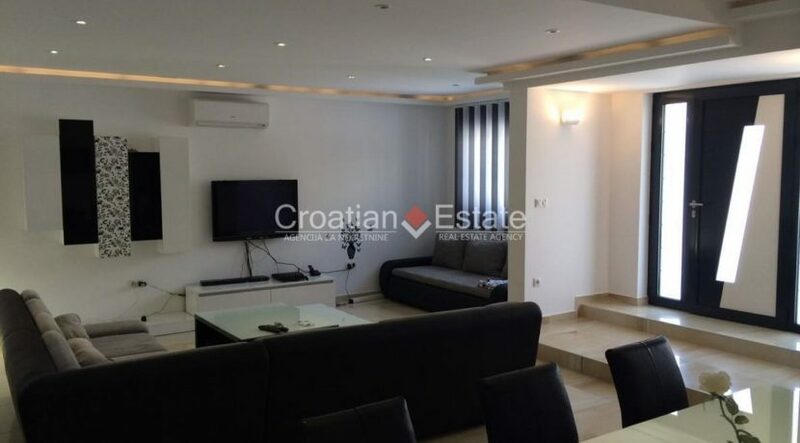 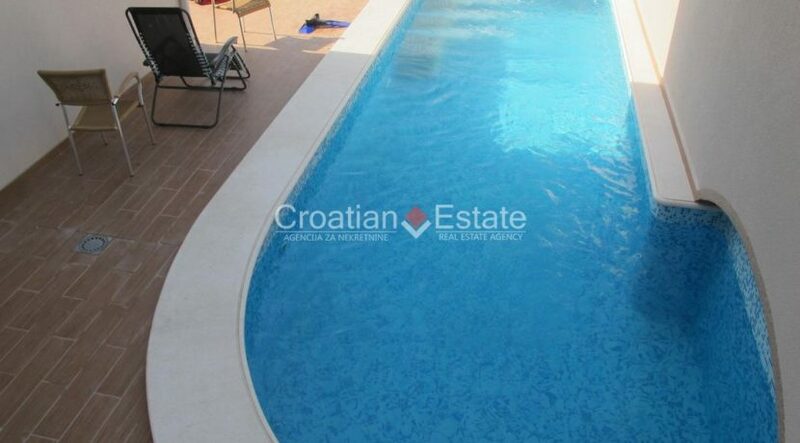 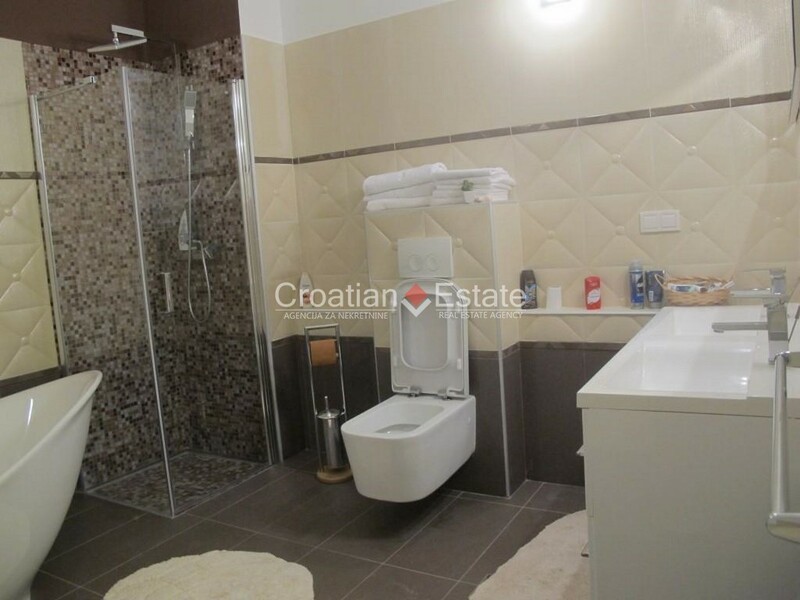 New villa with swimming pool for sale, located near Trogir and Rogoznica. 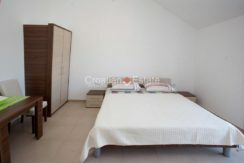 It was built on a plot of 594 m2, and the residential area of 570 m2 is divided into three floors. 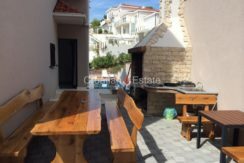 – One large apartment of 145 m2 which consists of a kitchen with dining room and living room, a terrace, three bedrooms and two bathrooms. 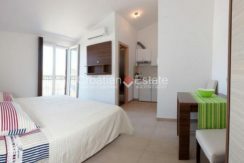 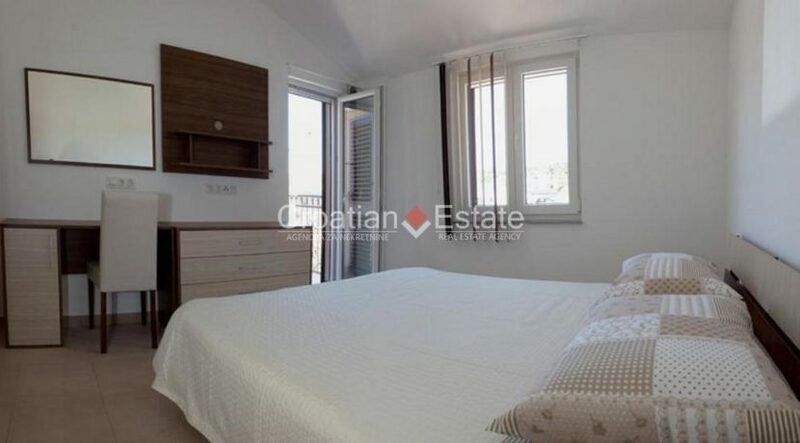 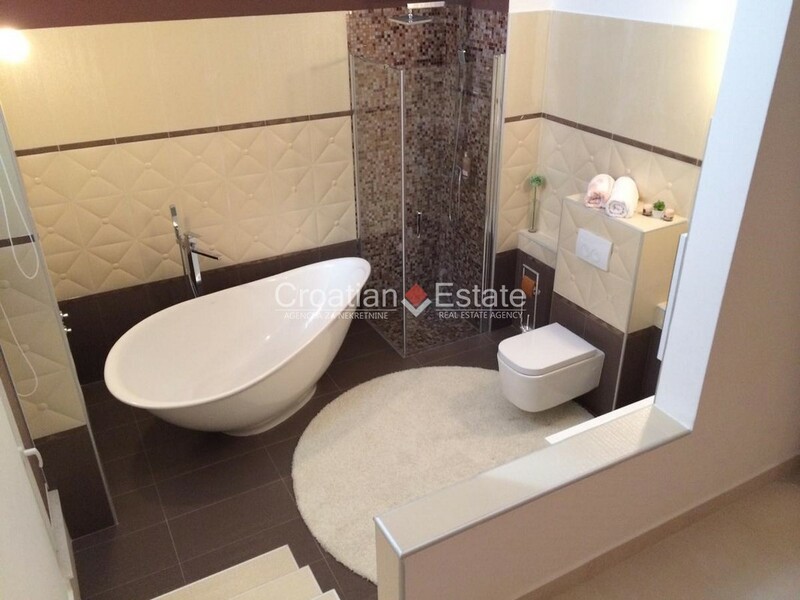 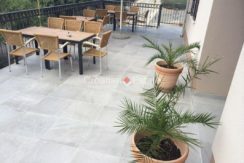 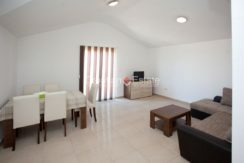 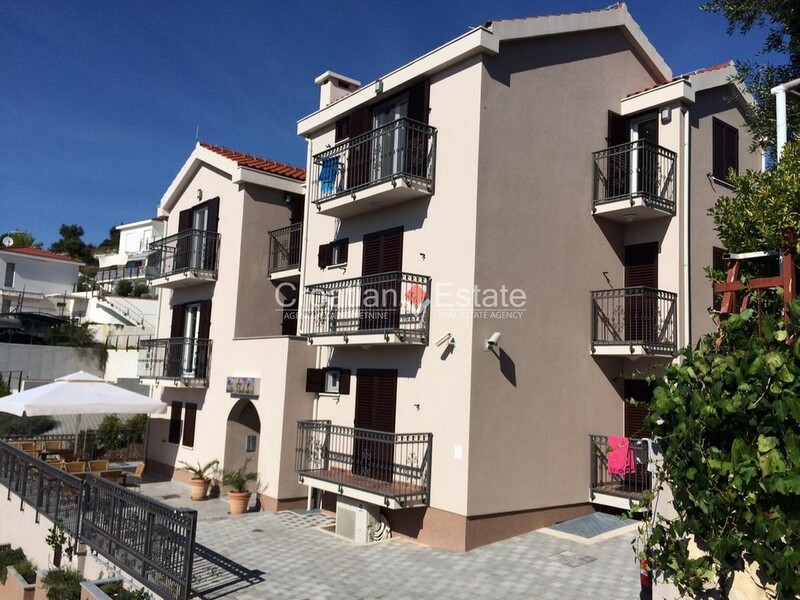 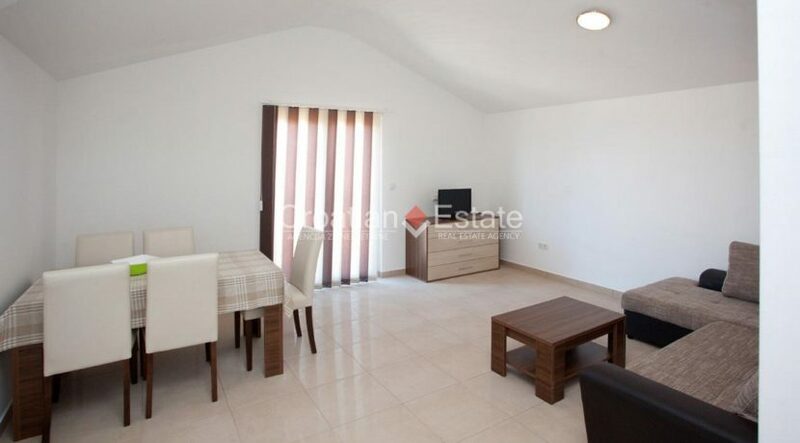 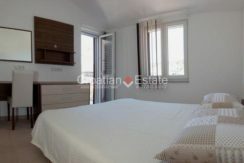 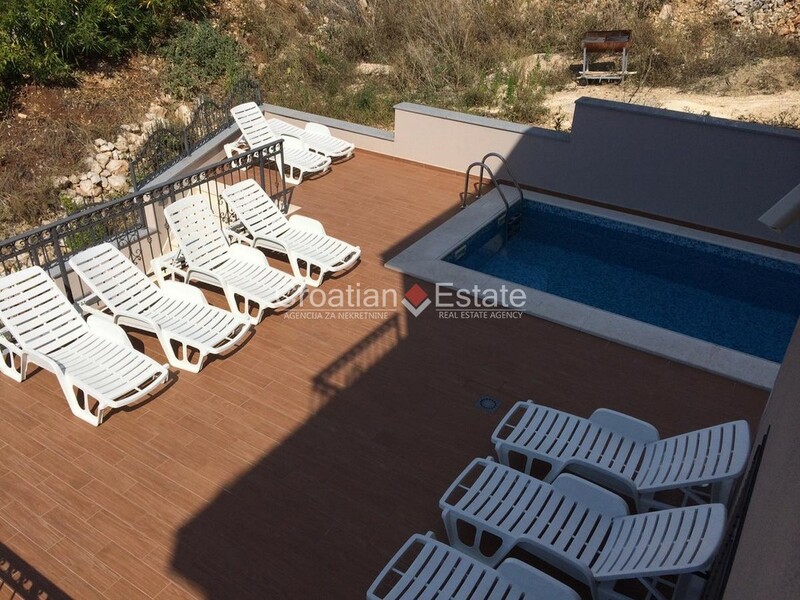 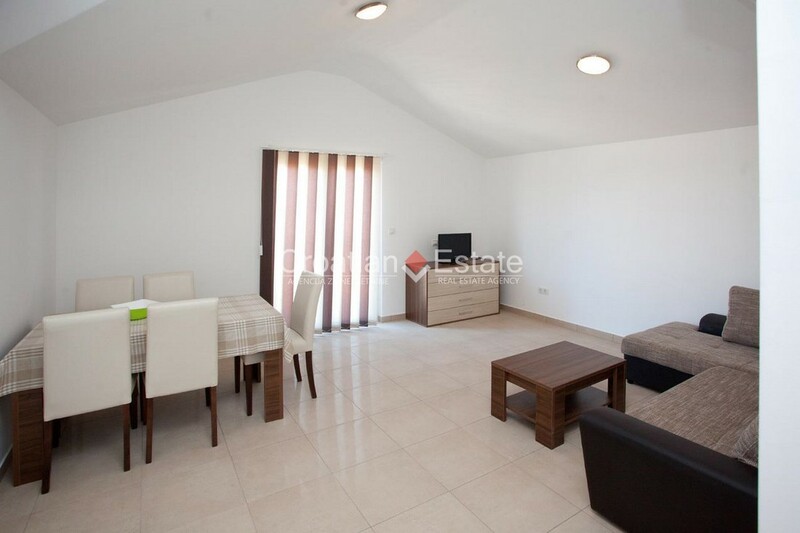 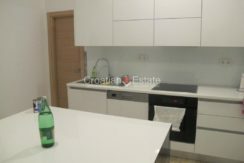 – Three one-bedroom apartments, each of 52 m2, consisting of a kitchen with dining room and living room, a terrace, one bedroom and a bathroom. 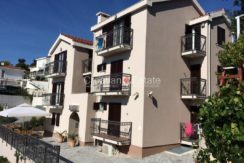 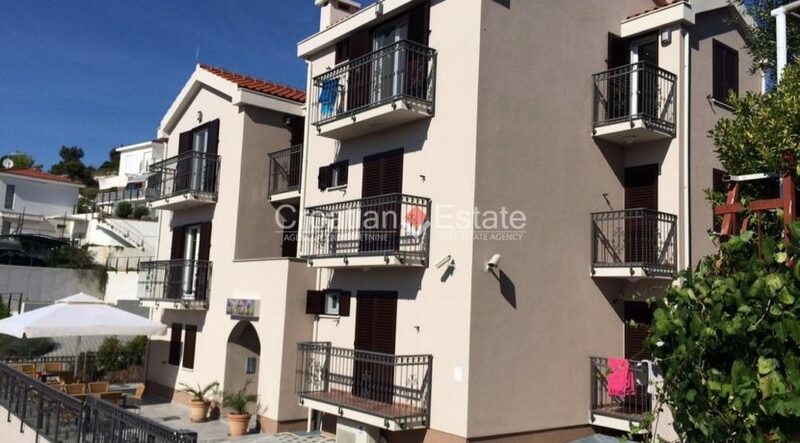 – Six studio apartments, each 25 m2. 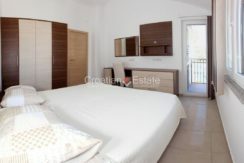 All apartments are equipped and air-conditioned. 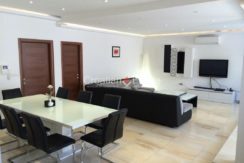 The villa has video surveillance, satellite TV and wifi. 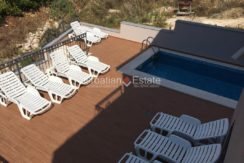 Behind the villa there is a shared pool with terrace and sunbathing area. 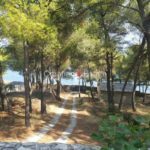 There is also a parking lot. 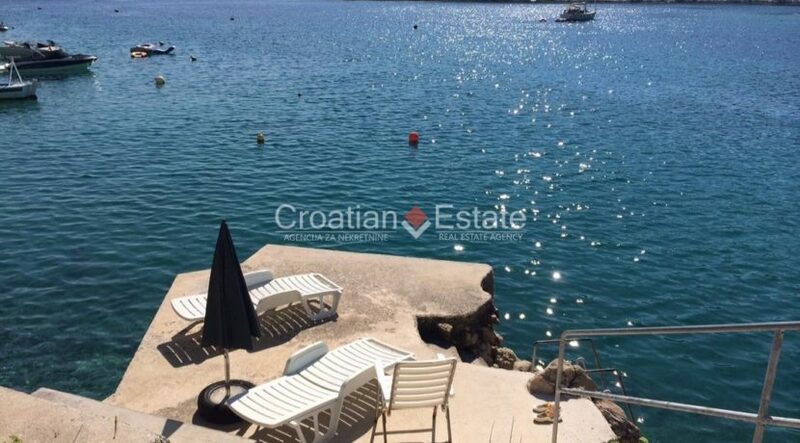 Distance from the sea is 70 m.